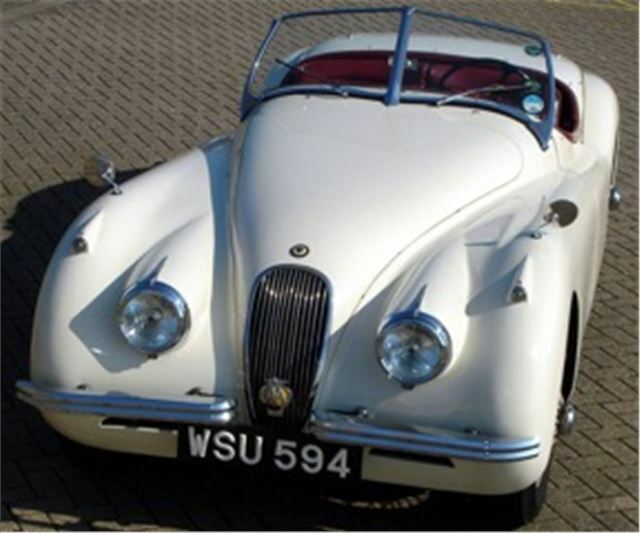 This left hand drive white 1954 Jaguar XK120 Roadster, refurbished by leading XK specialist Guy Broad, made the middle of its Estimate bracket of £45,000-£55,000, selling for £49,500 in Barons Jaguar Heritage auction at Sandown Park on 29th May. A comprehensively refurbished 1962 Jaguar MkII 3.8 Sports Saloon estimated at £34,000 - £38,000 made the top end of its bracket selling for £37,000. A Henley Green 1972 Jaguar E-Type S3 V12 roadster was the third highest-seller at Barons at £35,000. Highest sale price for a non Jaguar was achieved by a 1964 Mk I Ford Lotus Cortina at £30,500. Fifth highest seller was a LHD 1986 Rolls-Royce Corniche convertible, recently returned from Cyprus, sold for £26,960 to a German bidder. Barons’ next sale at Sandown Park is the Classic, Collectors, Sports and Prestige auction on July 17th. Entries are being invited for this sale - for further information, or to consign a car, visit www.barons-auctions.com, email info@barons-auctions.com or call 08454 30 60 60.